Baby FuzZ, the ambitious new alternative rock band from songwriter Sterling Fox, is here with the ultimate messy breakup anthem called "Burial". It starts off innocently enough, but soon launches into the stratosphere with a powerful chorus that will melt your face. Reminiscent of fun., Queen, Arcade Fire, and early Weezer, "Burial" builds into a cacophony of high energy guitar hijinks at the end that will leave you breathless. "Burial" will be on Baby FuzZ's full length album Plastic Paradise, due out February 2019. The music video for "Burial" is the bizarre story of a bad karaoke singer who gets electrocuted by a jealous pop star. It includes cameos by members of Blitzen Trapper, White Fang, and some folks from Portlandia. Other news: Baby FuzZ has recently had their music video added to heavy rotation on Fuse channels. Doing what many only threatened to do, in 2017 songwriter Sterling Fox picked up his guitar and moved to Canada. After a year in Montreal, he reemerged with Baby FuzZ, a bizarre alt rock/glam pop band with a rotating cast of contributors and members. 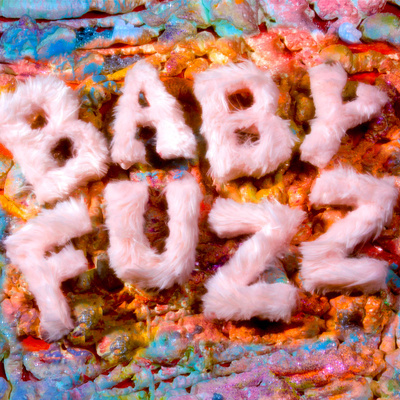 Baby FuzZ's music fuses a number of styles from emo to rock and roll to soul ballads. Described as “one of the most slept on acts in music” by Hillydilly, Baby FuzZ has released a litany of singles and brilliant videos in 2018 and is dropping a full length album Plastic Paradise in early 2019. In the past, Fox, the frontman of Baby FuzZ, produced “Video Games” by Lana Del Rey and has songwritten for the likes of Madonna, Britney Spears, and Avicii.